Top Shelf maintains a professionally trained radio and GPS dispatched fleet of several service technicians for when you want to leave the repairs to us. Supported by our outstanding parts-sourcing capabilities, we can keep your lift trucks up and running… adding to your bottom line! 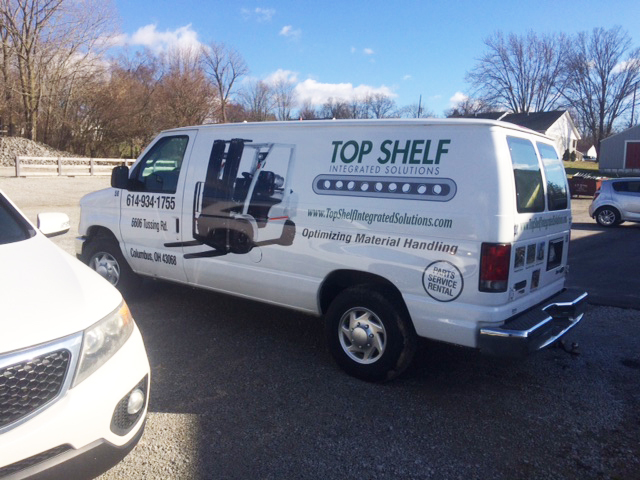 With Service Professionals in fully stocked vans and mobile tire presses whom are based out of Columbus, Ohio. Also on board are the In-house Technicians in that same geographic area to tackle your more complicated repairs!